Ben, Tyler M, Stuart, Lily-Mai, Amaleigh, Macey-Jayne, Kai-Stuart, Daisy and Lewis from Y6 took part in a rounders competition at Skegness Grammar School. 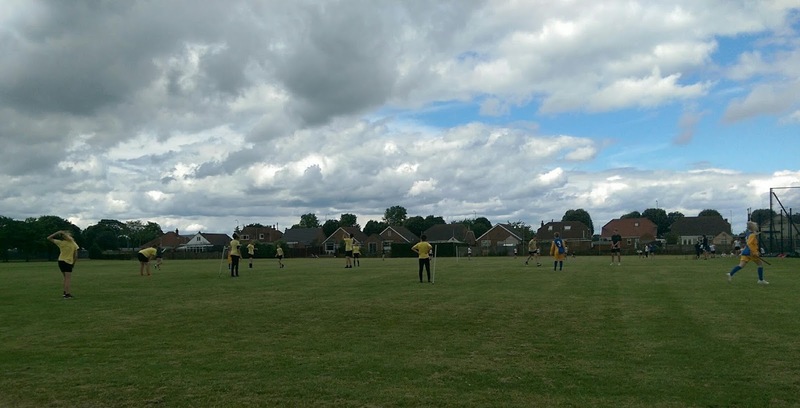 We were unlucky to come up against Horncastle A in our first game. Their strong backstop / 1st base combination saw us struggle in the 1st innings. We did better in the second innings but could not pull back the deficit. In our second game we beat Horncastle B and in our third we beat Friskney. Meanwhile Horncastle B had surprisingly beat Horncastle A, meaning Richmond and Horncastle A were both on 2 wins and 1 defeat. The number of outs was used to determine the winners and Horncastle just edged the win.